(Annapurna Base Camp) ((Singapore) April 2007. 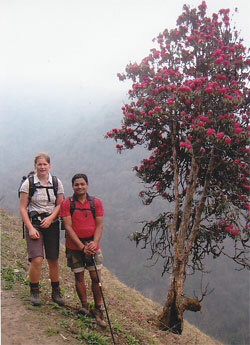 Comments: This Annapurna trip was a very well organized professional trek. Extremely impressed by the organisation of the trek and quality of service. The staff were very helpful Knowlegeble and friendly, they were very attendant to our needs. 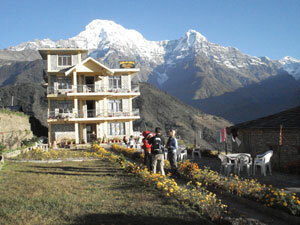 We will be recommending Adventure Treks Nepal. 03. Look Wai Fan Mr 01 Pax: (Hongkong)Janury 2007. Comments: Thank you all for great trip. Comments: A very big thank to everyone at Adventure Treks Nepal for the An unforgettable experience with lots of happy memories! (Tibet Overland Tour) (Swedish) Aprill 2007. Comments: "It was a Wonderful trip"
Comments:"Best Trip in My Life"
Comments:A special thanks to you Mr Karki for a wonderful trip that you organized. 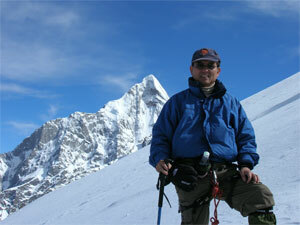 You can be rest assured that I will recommend Adventure Treks Nepal to any & all of my friends who want to visit Nepal. (Everest Base Camp) (Thailand) April 2007. Comments: Adventure Treks Nepal was my handling agent in Nepal and the tour went just perfect. Thank you for everything. (Culture Tour) (Swedish) 26 February 2007. Comments: A well organized tour and we had a great time & great sightseeing; the team of Adventure Treks Nepal made it possible and smooth. Thank you for everything. 10. 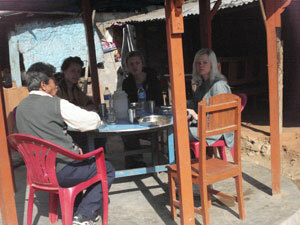 Staftam Bjorklund Mr, Brittinger Bjorklund Ms, Per Broms Mr.
(Culture Tours + Chitwan) (Swedish) April 2007. Comments: Adventure Treks Nepal is not your everyday tour operator. They understand that great vacations are about knowing your guests well and engaging the right hosts to take care of them. Mr.Karki, Mr.Dawa, & Mr.Sangam personify hospitality. We highly recommend this company for all travelers interested to visit Nepal. 11. Fennell Mark Jason Mr & Collins Sarah Anne Elizabeth Mrs.
(Tibet Tour) (Australia + UK) 02 Pax. We currently just finished our visit to Tibet in May through your agency.we had a great time in Tibet and we would like to say a big thank you to you! 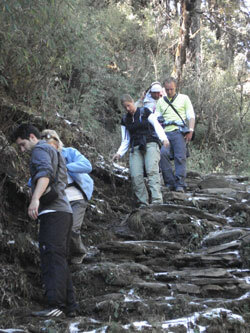 Comments: A good company & Good guide give the trekking a special touch. At our first visit to Nepal, in 2007, we were supposed to trek from Jomsom to Muktinath and then turn back to Jomsom again, to follow the river Kaligandaki down to Nayapul. But because of me getting the altitude sickness we have to turn some hours before Muktinath to get down and cure the altitude with garlic soap and some rest. In spite of this, our guide Gyanendra, who we got in contact with on recommendation, helped us to make the ten days a fantastic and very interesting time. Our wildest wishes were fulfilled and he was very good in adapting the trip to our needs and possibilities. His great cultural, historical and social knowledge gave us the opportunities to get to learn a lot about the Nepalese society and the Nepalese people. In the evenings we sat in the tea-houses, eating a good dhal bath and talking about what we had experienced and about life in Nepal. Thanks once again Adventure Treks Nepal. 13. Sara Persson Ms & Frida Ryan Ms. 02 Pax. (Jomsom Ghorepani Poonhill Trek) (Swedish) March 2007. Comments: After searching looking around the web, we contacted Adventure Treks Nepal to find out more about our Trek We found some great reviews for it and contacted one of Their previous clients as well. 15. Uffe Johnson Mr & Hafstad Anna Ulrika Ms. 02 Pax. Comments: We had The best experience. Adventure Trek Nepal was Very helpful with putting together a tour after our needs. Great service before we got there, and all the way. Gyan Karki and his staff are the best. We recommend this agency to everyone. We would choose them again. Personal, Proffesional, Friendly and Service minded. Comments: We had an excellent trip home and Nepal & Tibet continues to occupy much of our thoughts each day. We had a marvelous time in your country and feel so priviledged to have come and met such wonderful people! Your assistance throughout our trip made our travel and recreation times extra special. Thank you so much for all of your help. Comments: Thank you again for arranging the Mt. Kailash trip. It was indeed a very wonderful experience for us ! Comments: "if you want to be looked after, body and soul, then travel with Adventure Treks Nepal ! I travelled with them and was amazed at the quality of service from the whole team, especially in such testing conditions. Everyone was kind and helpful, and the experience of the team shone through. It could not be bettered." 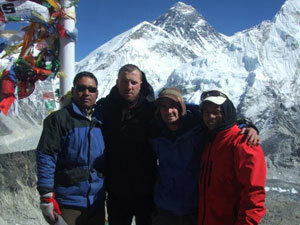 (Everest Base Camp) (France) 15 September,2007. Comments: We are indeed back in our homes, but our thoughts are often in Nepal. As you know, we have many many pictures to remind us of Nepal and we look at them regularly. As we told you many times on the trek,you have a wonderful and beautiful country. But even more important, it was you who made our trip so wonderfully successful. Your thoughtfulness and guidance made every day of the trek an exceptional experience. You were very good at assessing our physical conditioning and pushing us, just enough, to increase our altitude adaptation. A special thanks is also due you for caring for those of us who were not always feeling well. Furthermore, I'm sure we all feel especially grateful for the breadth of experience and local knowledge you made available to us every day of our trek. Comments: The whole journey was a great experience. For me and I enjoyed it a lot. Also thanks again to you and your colleagues. (Annapurna Circuit Trekking) (USA) 02 October,2007. Comments: You must be pleased to have such a great employee! 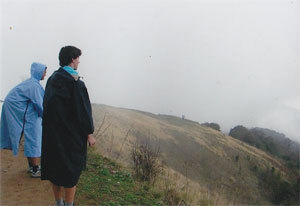 We liked working with Adventure Treks very much. 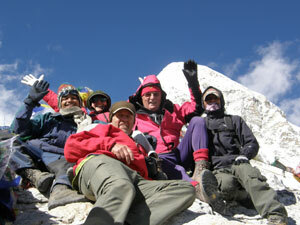 Adventure Treks Nepal the Trekking & Tour operator with professional Staffs. We would recommend him to all over friends at home. Comments: We would like to thank you and your company for taking care of us so well. Trekking has also been well organized. We had a good mood up to the end. Once again thanks for everything. Best wishes to you & your office. Comments: Best crew we ever had, since 15 years! Early morning service was wonderful – as well as the warm- water bottles for the night. We had good fun you supported us very good. Comments: We have now arrived home and I would just like to thank you once more for the nice time in Nepal. We recommend you to all our friends and tell them about your beautiful country and quality service of Adventure Treks Nepal ! Comments: Thanks you so much again for spending time with us and letting us stay with your family. We had a great time there. 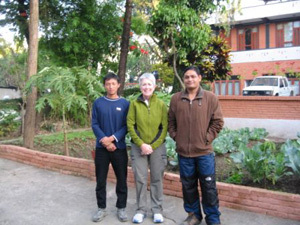 Comments: Gyan and his team at Adventure Treks Nepal impressed us right from our first contact with them. Without fail, their service has been prompt and thorough and their advice accurate. They delivered on all the promises and committments they made to us. They did not try to sell services which we did not want (unlike other agencies in Kathmandu) and we found their prices were very reasonable compared with other agencies. Based on our experiences in 2007 when we arranged Treks & Chitwan National Park (Rafting) through Adventure Treks Nepal, as well as seeking their advice regarding accommodation in Kathmandu, we unhesitatingly recommend Adventure Treks Nepal. Comments: Thank you for excellant Services. Comments: We fulfilled our long time dream of hiking at Everest Base Camp Via Cho-la Pass in Nepal. The Trip was everything we dreamed of and even more. During the 23 days of trekking we had a chance to experience Nepal's breathtakingly beautiful nature with snow Peak Mountains and forests, see how Nepalese people live and learn about the nature and animals that we saw by the trails. Thanks to this amazing experience goes to our guide and porter from Adventure Treks Nepal. Our guide was very knowledgeable, very helpful, and good in English and the whole trip was extremely well organized by him. We can highly recommend to use service of Adventure Treks Nepal and we are positive that we will have chance to do more trekking trips with them in the future. Comments: When you get the itch to go trekking in Nepal, for guides and porters I highly recommend to use the service of Adventure Treks Nepal who we used for our trip. We were lucky to took leader Bhuwan our guide, who speaks English really well and he has a good sense of humor and an all round great attitude which makes the trip that much more enjoyable. You will find his knowledge of the Himalayas and his ability to communicate perfectly in English enriches your trekking experience. He takes care of logistics of flights, gear, places to stay, and such, and prices are very reasonable. He also is a good leader and takes care of the porters, ensuring that they are mindful of their health. Our trip to Nepal and trekking the Himalayas was truly a "life experience" and much thanks goes to Adventure Treks Nepal and his whole team for making it so enjoyable. Comments: Our trek to Mera Peak Nepal, was outstanding in every respect. Adventure Treks Nepal's organisational abilities, medical knowledge, people skills, and attention to detail backed up by years of leadership experience ensured the success of the trek, and the subtle but watchful eye he kept on our individual health and on camp hygiene was reassuring. We can without reservation recommend him as a guide and trek leader and don't doubt that others will find as we did that his combination of professionalism and friendliness virtually guarantees a great experience. Comments: Thank you to everyone at Adventure Treks Nepal for a great trip, and particularly to Khim & Jit for their help and good company. We couldn't have done it without you. we were very glad of someone to help carry our packs ! We are hoping all is well in Nepal so that we can come again as soon as we can. 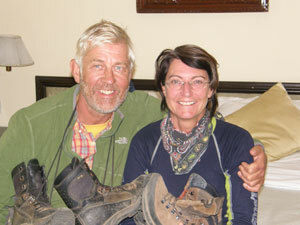 Comments: On my return to Trek in the Himalaya Adventure Treks Nepal was the natural choice. Once again we benefitted from the quick, professional approach and excellently organised options for my trip. Adventure Treks Nepal let us customize our itinery to best suit our needs and time frame and we had an excellent enjoyable expedition as a result. 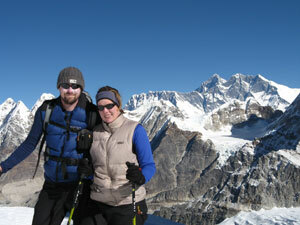 Comments: I've trekked with Adventure Treks Nepal a few times and can safely say their favorite guide and trek leader. They also understands the psychology of his clients. 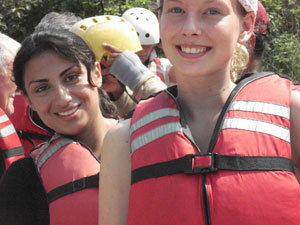 We always feel safty while we travel through Adventure Treks Nepal. Comments: I am very happy to recommend Adventure Treks Nepal (P). Ltd. As a fit middle-aged woman, planning my first trek in Nepal, I was looking for a safe, reliable, experienced trekking agency, based in Nepal. After consulting guide books and the internet, I chose Adventure Treks Nepal (P). Ltd. on the basis of their website and the quick and helpful e-mail responses I got back from owner Gyan Karki. This proved to be an excellent choice. With Gyan's assistance I decided on the Ghorepani-Punhill trek, which I could do on my own with a guide and porter, staying in clean, well-run tea houses. I was very satisfied with my guide, Gyanendra Karki, and porter, Ramesh, both of whom provided efficient, friendly, professional service. My guide was particularly helpful when a stomach bug which I picked up in Delhi or Kathmandu before the trek caused me to lose a day en route. As a result of his encouragement and good counsel, we completed a modified itinerary, allowing me to witness the sun rise and set over the Annapurnas from Ghorepani, a sight which will stay with me forever. In addition to the trek, the company provided city tours of Kathmandu and Pokhara, both of which were extremely interesting and informative. I intend to return to Nepal again in the future to do future treks and would have no hesitation in choosing Adventure Treks Nepal (P). Ltd. again. Thank you again for your very expert and personalized service. Comments: We had good time with Adventure Treks Nepal. Comments: After my time in Nepal it is very difficult to leave from Nepal. (city Tour & Everest Base Camp Tour.) (Australian) 16 December,2007. We will be happy to recommend your company to our friends & relatives who will visit Nepal in the future. Comments: Good time in nepal. 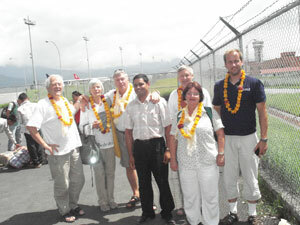 Comments:Because of Adventure's Service we came Nepal Second time and we Promise for 2008 October.